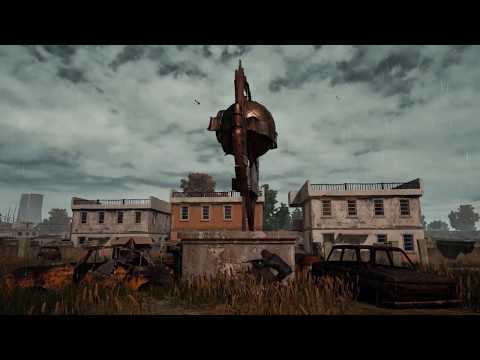 PLAYERUNKNOWN'S BATTLEGROUNDS (PUBG) (all caps necessary) is a brand new battle royale multiplayer shooter, developed under the guidance of the genre's pioneer: Brendan 'PlayerUnknown' Greene. Get on a plane as one of a hundred players, drop onto a huge island, find weapons and do your best to be the last one standing on a steadily shrinking map. Do you have what it takes? PLAYERUNKNOWN'S BATTLEGROUNDS (PC) will test you, make no mistake. In PLAYERUNKNOWN'S BATTLEGROUNDS (PC) the map is an 8x8km area. It's full of settlements, unique geographical features and a city which is the place to be when you decide the kid gloves are off. Admire the detail put into creating the mysterious island, but be careful not to find yourself staring blankly at the sights too long, because your enemies won't.It's a very pretty place to die, and even prettier to claim as one and only ruler after you eliminate your enemies. PLAYERUNKNOWN'S BATTLEGROUNDS supports matches of even a hundred players at once. All of them aiming to get the weapons before you do, get to the safe zone before you do, and to kill you before you kill them.The upside is that you have even 99 targets to shoot. The downside is: your opponents do too. One way or another there can be only one, so make good use of the guns you find and start working towards killing in everyone standing in your way. PUBG doesn't make you go to all-out conflict empty-handed. It just makes you find everything. You drop on the map with nothing but your wits and empty equipment slots, but within minutes you can be the baddest-looking son of a gun around, with MP4 or a nice AK to make sure nobody questions your position. There are 17 weapons, 35 upgrades, and enough cosmetic items to make anyone satisfied. PLAYERUNKNOWN'S BATTLEGROUNDS finds the sweet spot between the complexity and depth of Arma 3 Battle Royale and H1Z1: King of the Kill, both of which were developed by Greene. PLAYERUNKNOWN'S BATTLEGROUNDS merges the accessibility of King of the Kill with toned down depth of Arma 3 to provide an engaging game with a learning curve that doesn't punish you for trying.It's a game every fan of the battle royale shooter genre will be able to enjoy! If you think you can take your time and play it slow, think again. The further into the match, the less breathing space you have. Every couple minutes the area is constricted by an ever-tighter force field and you never know where a safe zone will be. Stay in place and be zapped by the field. Stay in a wrong place and carpet bombers will get you. Stay on the move to have any chance of making it to the end. PLAYERUNKNOWN'S BATTLEGROUNDS is a multiplayer third-person shooter pitting the players against each other in huge, 100-player battles waged on a massive island. Fight against time and other players as the playable area shrinks at regular intervals. Can you stay afloat in the resulting frantic struggle for survival? 35 modifications - upgrade your weapon with attachments discovered on the map. Sights, magazines, and more await you! Massive, varied map - fight on a 8x8 km map, with forests, villages and even a military base. Where will the final stand take place? Take part in a massive online battle against dozens of other players. Buy PLAYERUNKNOWN'S BATTLEGROUNDS and be the last one standing, against all odds. Buy PLAYERUNKNOWN'S BATTLEGROUNDS (PUBG) for 102,770.42 DXC?